In the first days of June, the news became known that the 28th mechanized brigade had been transferred from its place of permanent deployment in Ekaterinburg to the city of Klintsy in Bryansk region on the border with Belarus. According to the first deputy head of the city administration, Oleg Kletny, the soldiers arrived at their new stationing point on May 30th. “I know nothing about this. But speaking of a strengthening of the grouping on the border with Belarus would be an exaggeration. Following this, at a routine press conference Peskov addressed the question put forth to him by journalists regarding the comments of the Russian ambassador in the Russian Foreign Ministry, and said that the Russian Ministry of Foreign Affairs is more competent to comment on such than he himself. The redeployment of Russian soldiers was also enthusiastically commented on by Russian, Belarusian, and Ukrainian liberal media. The later have declared that Russia is allegedly planning to realize a “Crimean scenario” in the neighboring country, which means that Minsk should keep its eyes open and not allow any provocations on the part of its eastern neighbor. Russian liberal media declared that this was an attempt by Moscow to increase coercive pressure on Minsk on some important issues that the two have not yet agreed upon, such as on the price of gas. In Belarus, some publications sympathetic to liberal and nationalist movements inside the country declared that it was necessary to prepare for imminent “Russian aggression,” even by going as far as to discuss how many division should be put up against the Russian army. But let’s digress from this wave of hysteria, the goal of which among other things is warming up the next wave of Russophobia in Belarus, and let’s look at the situation from a position of reason. 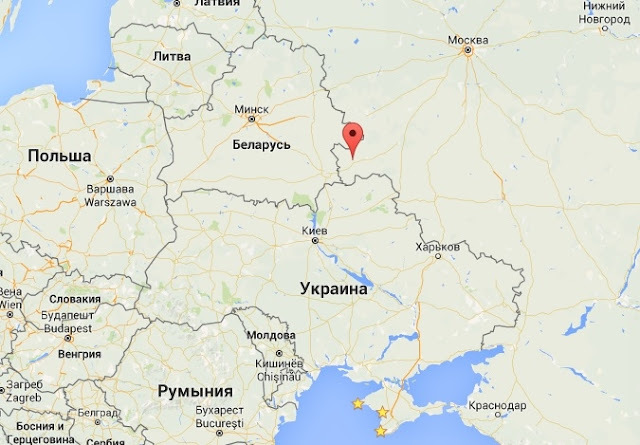 The Bryansk region to which Russian units have been relocated borders Belarus in the north. The southern part has a border with the Chernigovskaya and Sumskaya regions of Ukraine, in which there is an unstable situation that, according to the Russian ambassador in Belarus, is the region for the transfer of additional forces of the Russian army to this region. As for the city of Klintsy, it is located directly in the middle of the western ledge of the Bryanskaya region between the Russian-Belarusian and Russian-Ukrainian borders. The forces which Russia has deployed to Klintsy are extremely small. According to some reports, the personnel of the unit that has arrived in Bryansk region consists of little more than 200 persons of the 28th brigade. But if you listen to biased media, then the impression might be made that Russia is re-locating just about its entire army along the Russian-Belarusian border in preparation for crossing the border and realizing the notorious “Crimean scenario” in the case of a problem in Russian-Belarusian relations. In fact, Russia’s activity is explained firstly by the already-mentioned Ukrainian problem. Secondly, this comes in conjunction with the significant increase of NATO activity in Eastern Europe. Relatively recently, the general secretary of the North Atlantic Alliance, Jens Stoltenberg, stated that four additional NATO battalions will be deployed in Poland this year. Moreover, American, British, German, Polish and other countries’ soldiers soldiers are periodically holding exercises in Poland and the Baltic states. Over the past few years, they have also become frequent guests in Ukraine, whose leaders have declared Russia to be the main national security threat, as in their official documents they now call our country the “aggressor country.” Naturally, in this context of the extremely hostile policy of our “Western partners” and their cohort Kiev, the strengthening of Russian troops on Russia’s western borders is a reasonable and justified step. In the context of a further threat by NATO and its allies, NATO said that three new division will be established in the western zone which will be equipped with the most modern weapons. 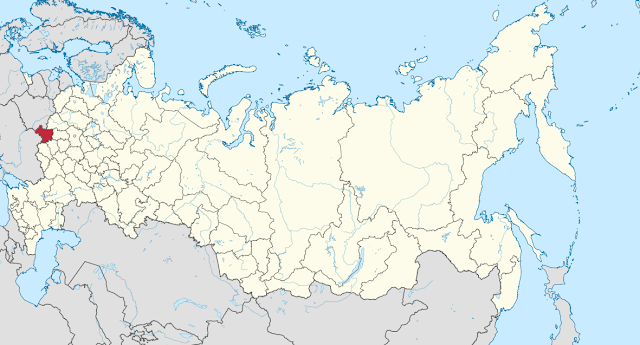 Frankly speaking, a land division of the Russian army has about 10,000 personnel. It isn't difficult to calculate that three new divisions would mean 30,000 people whom Russia would deploy to counter the NATO threat on its western borders. Thus, the hysteria spread by certain media sources, political analysts and other “experts” who decried a “Russian threat” when 200 Russian servicemen arrived in one of our western regions is not very understandable. Similar measures were announced in advance, and their purposes were also clearly stated. The purpose is not to blackmail any allies to the west in any way, especially not Belarus. Lukashenko’s promise is very clear. Belarus is the front line of defense of our Common Fatherland, and Russia is the rear of Belorussia which will immediately come to the rescue in the event of aggression. And it is precisely for such prompt aid that Russia should concentrate troops on its western border. And the more the better. Therefore, it is not worth listening to all kinds of hysterics aimed at inciting hatred between two fraternal and allied countries, between the two parts of which there is one people. Russia and Belorussia will always confront our common enemy together. He who comes to us with the sword will perish by the sword. Of course, no one wants war, but it’s always necessary to have a sharpened sword. We, together with the Belarusians, are taking care of this now.